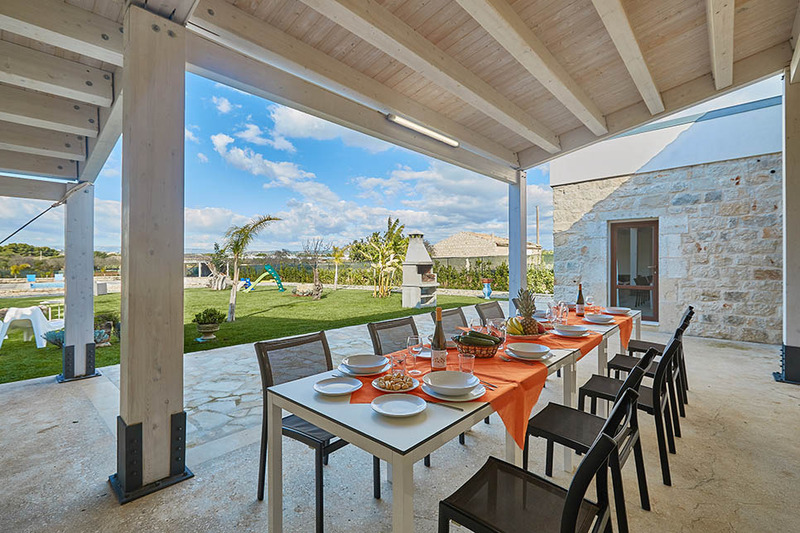 Villa Antica Aia Resort is the perfect solution for families and large groups looking for somewhere exceptional for a special celebration. 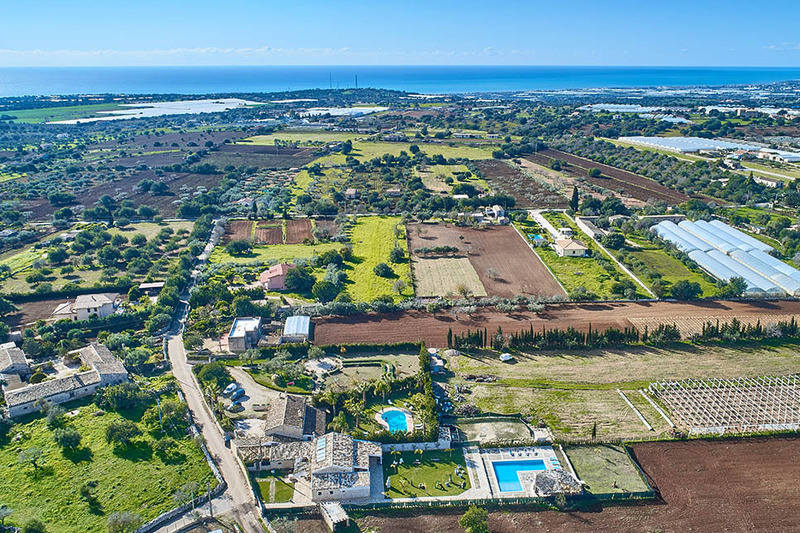 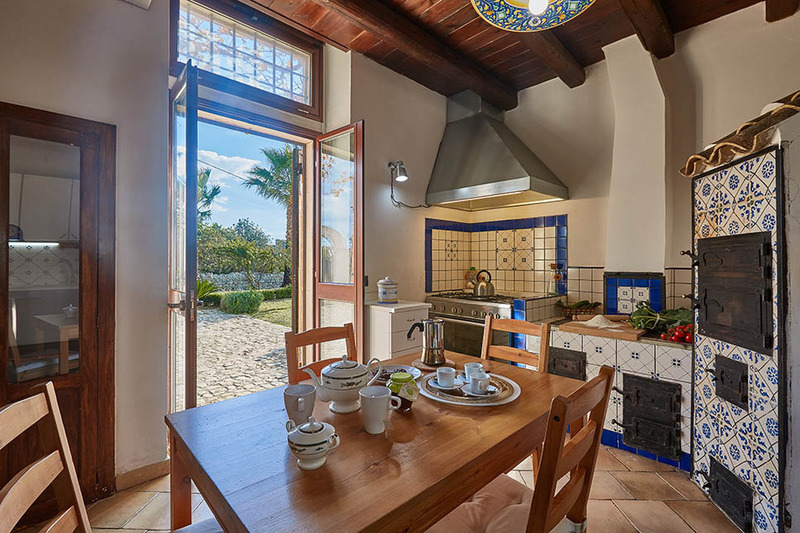 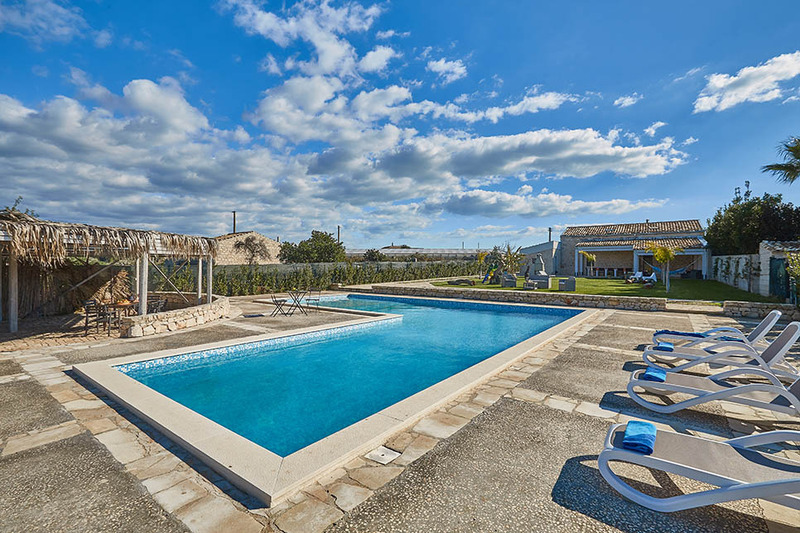 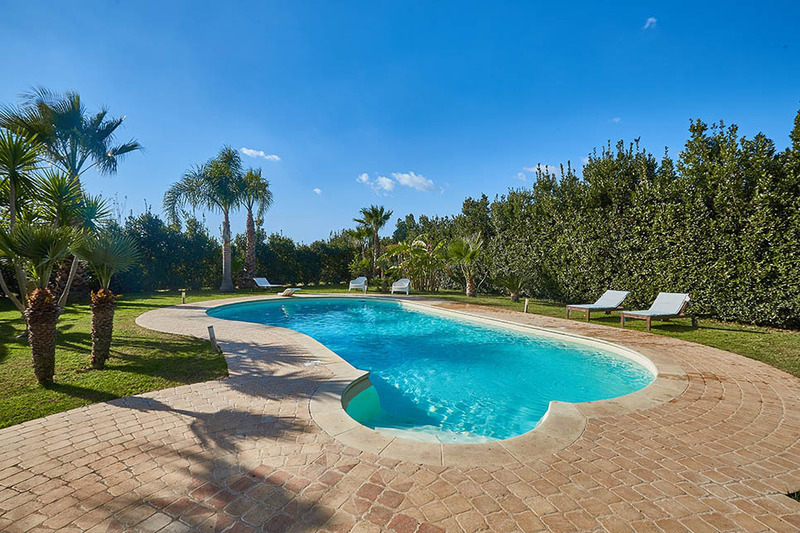 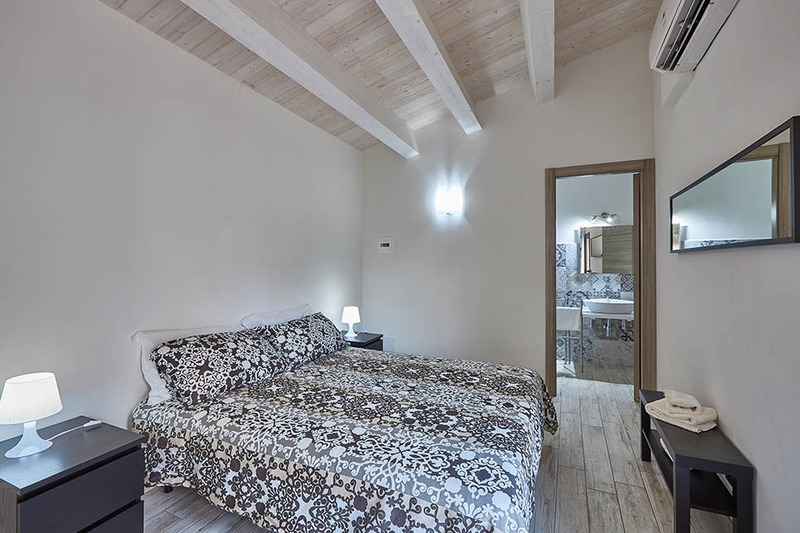 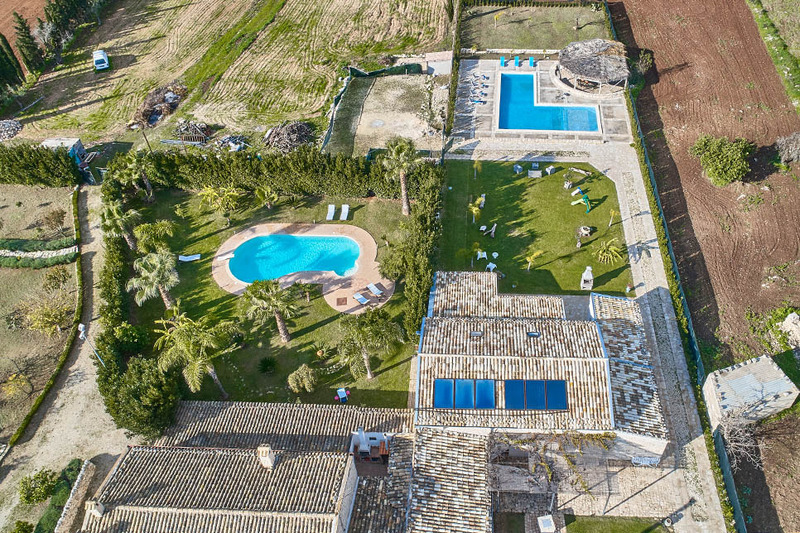 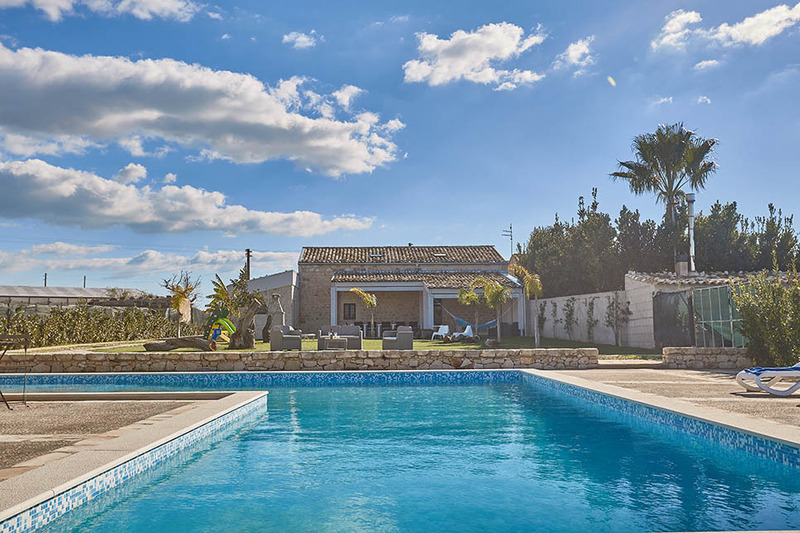 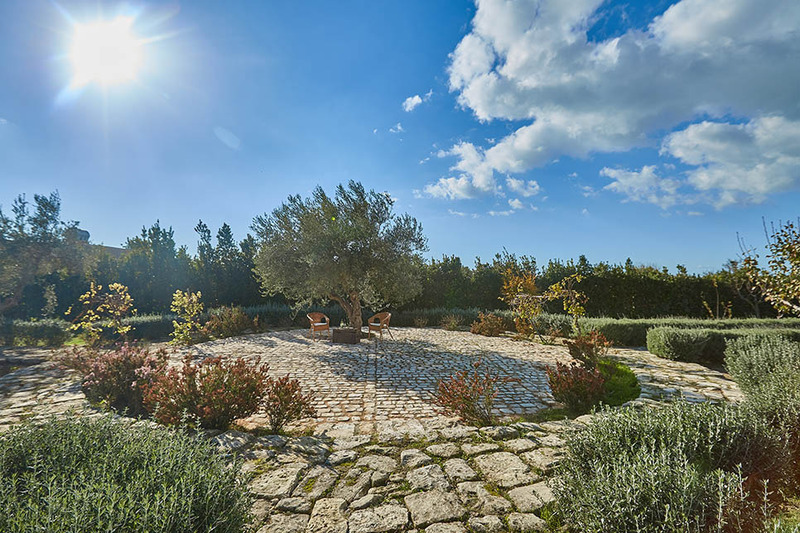 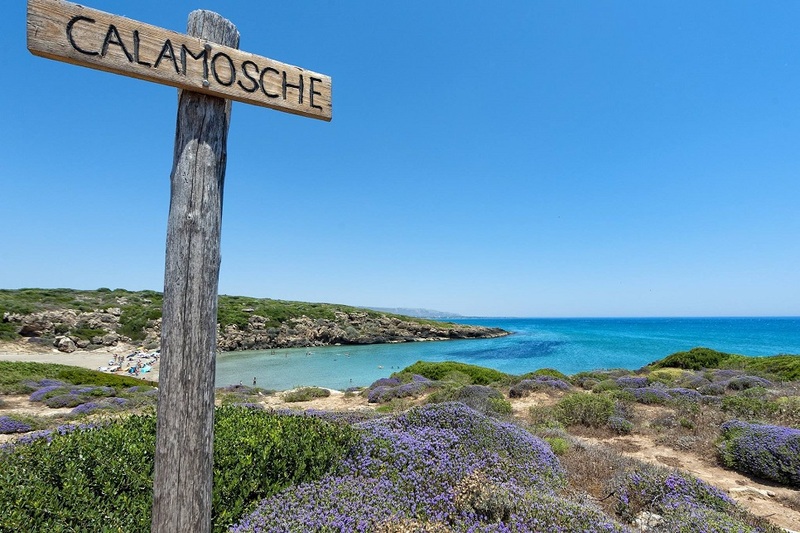 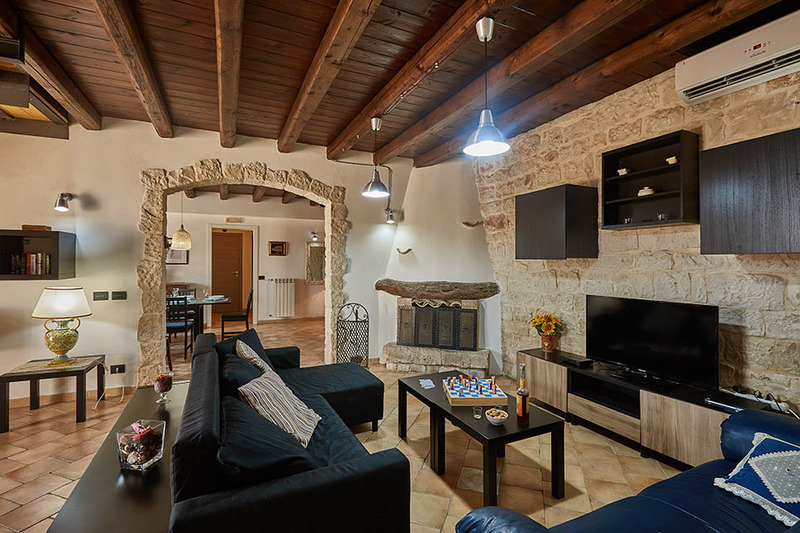 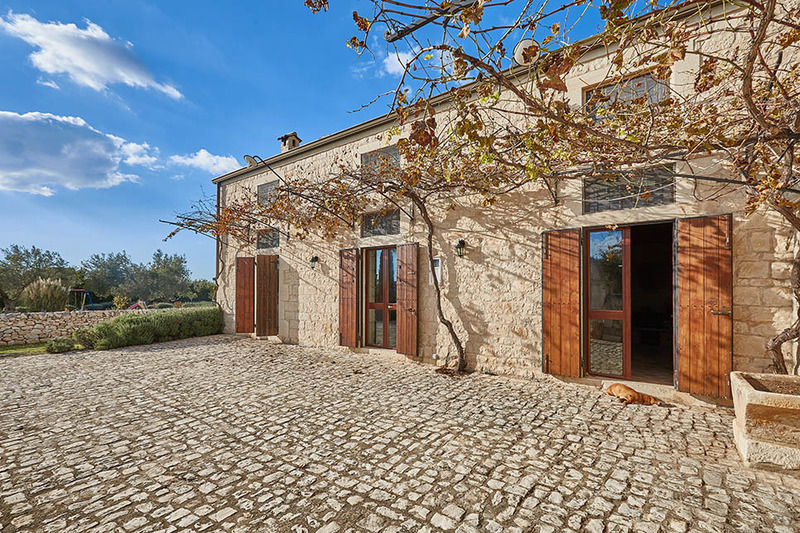 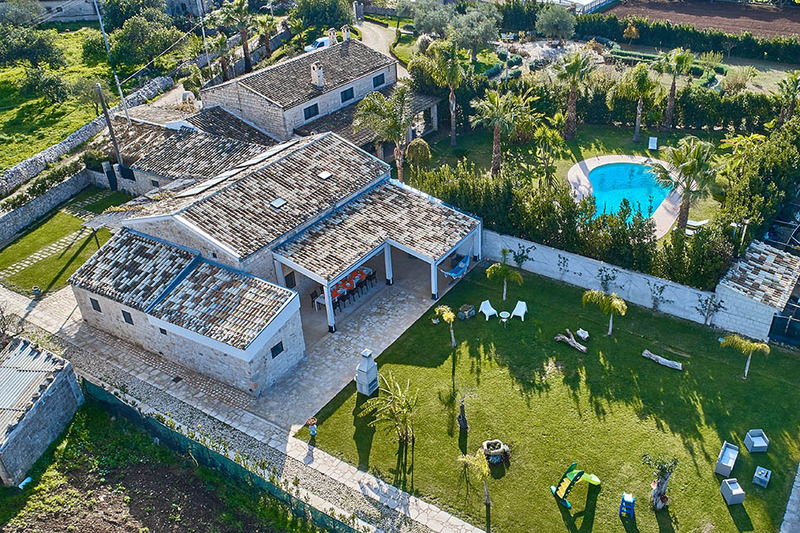 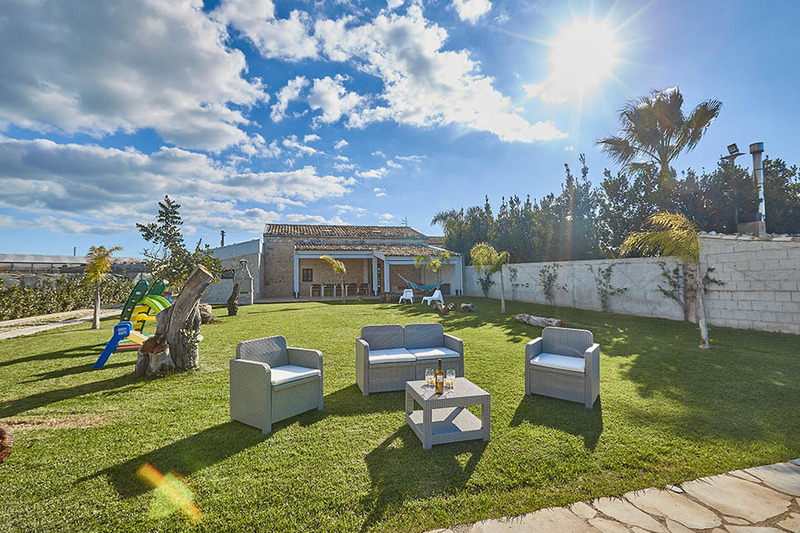 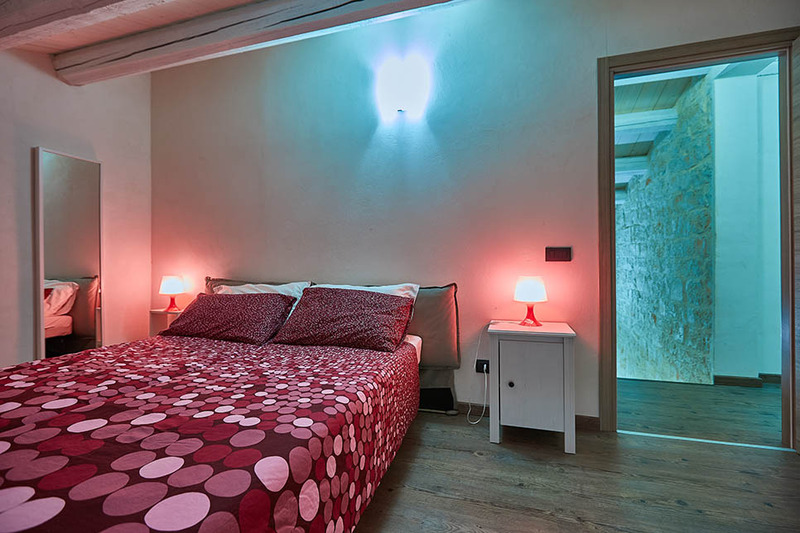 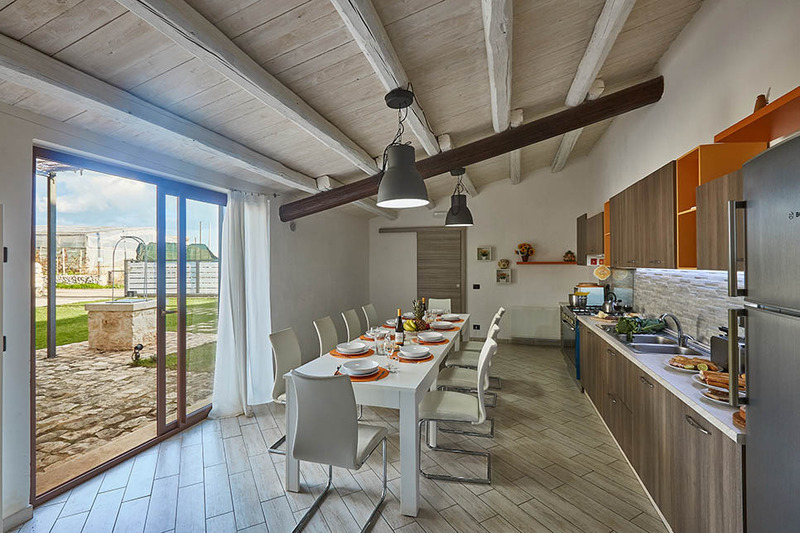 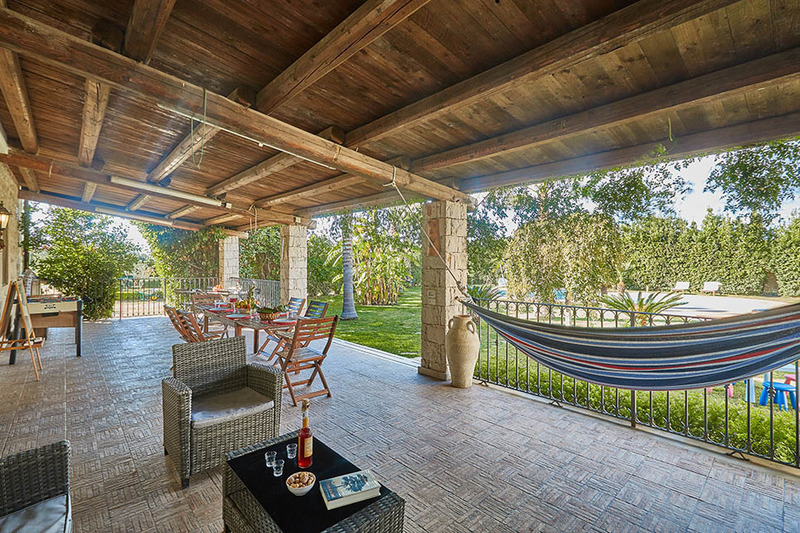 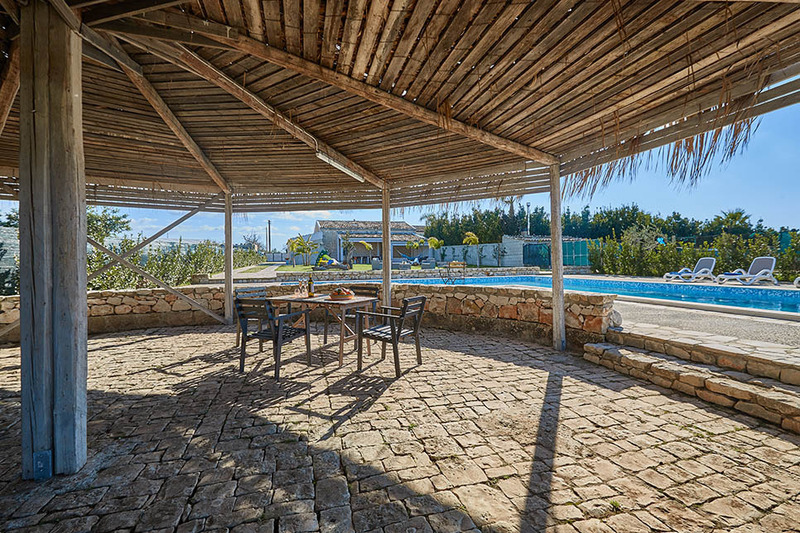 Comprising two separate villas, two pools and masses of green open space, the Resort is situated in the heart of south east Sicily, just a short drive from several wonderful sandy beaches and close to the UNESCO world heritage towns of Scicli, Modica and Ragusa. 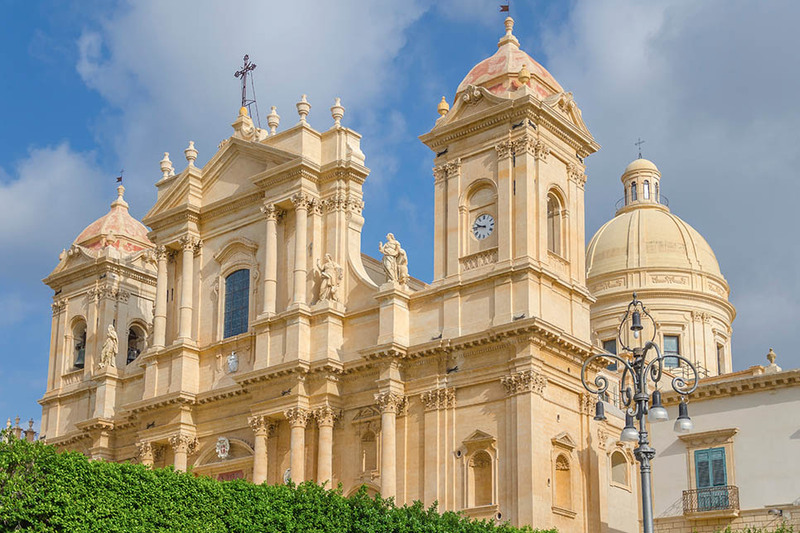 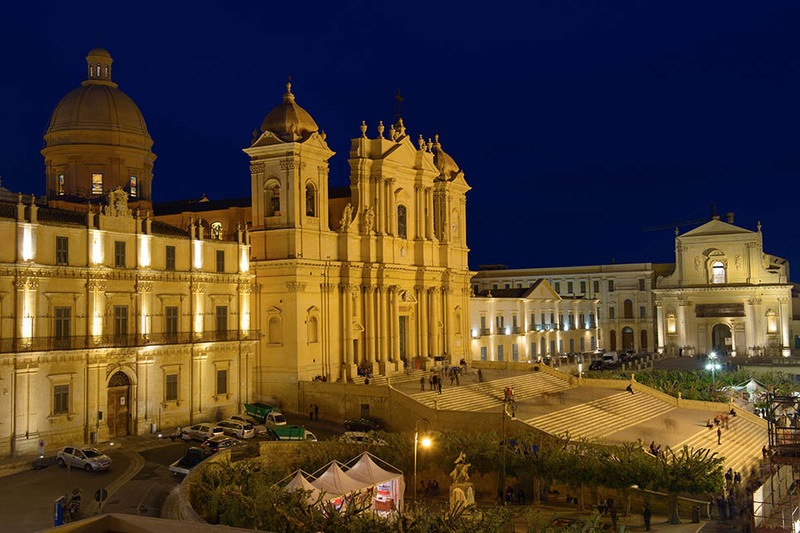 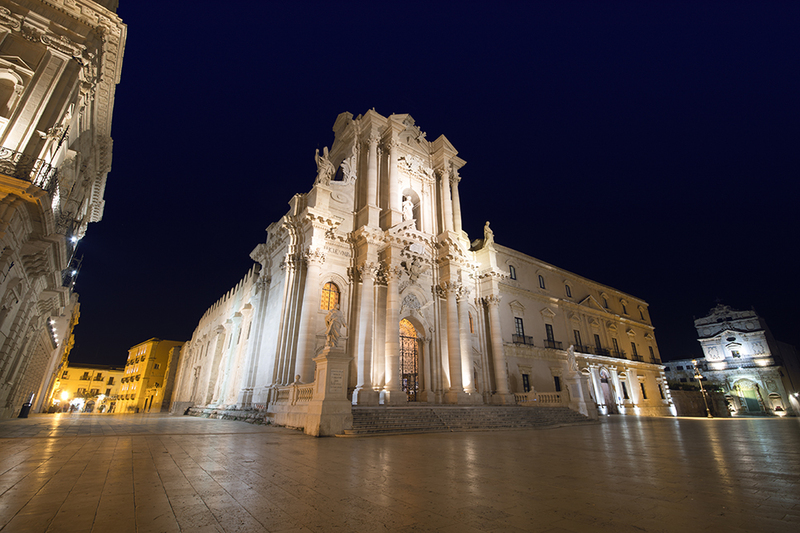 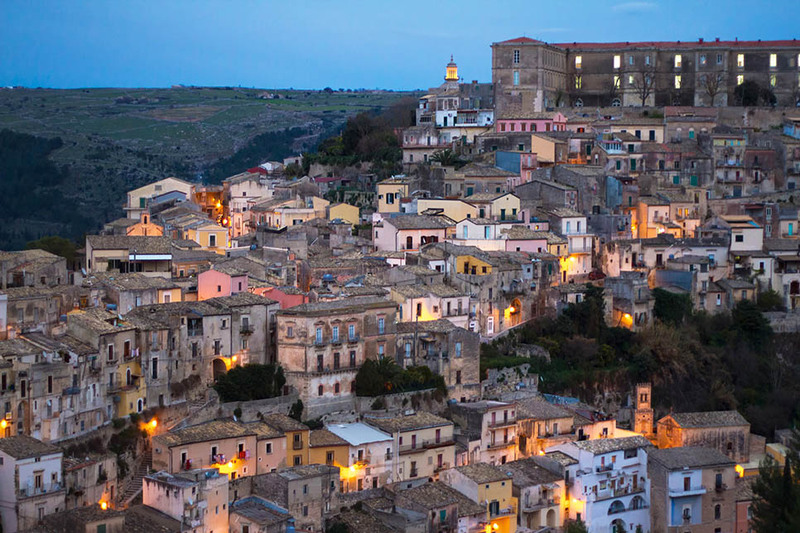 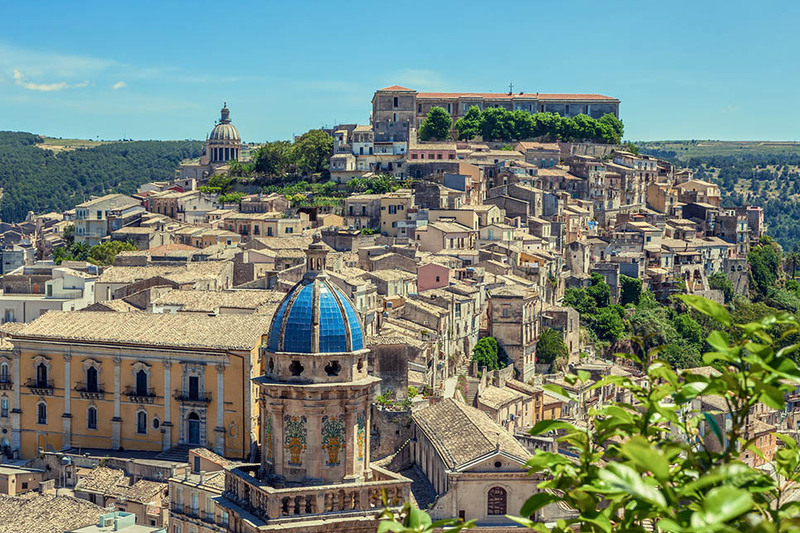 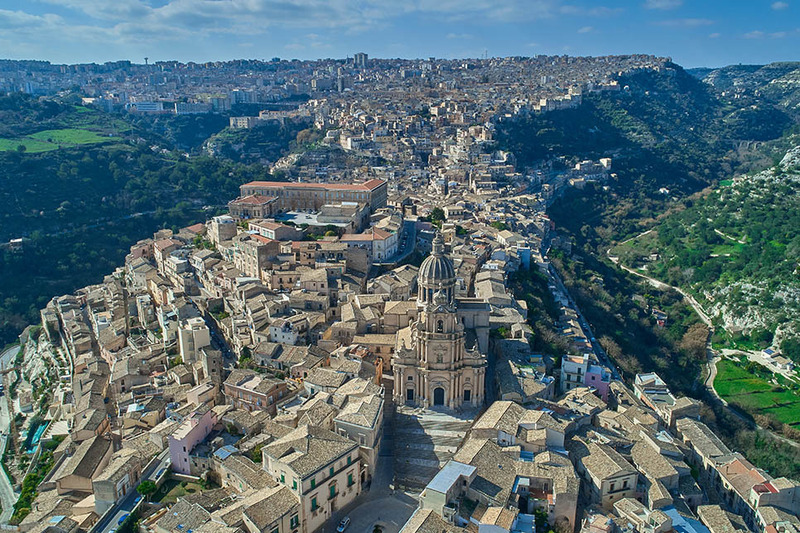 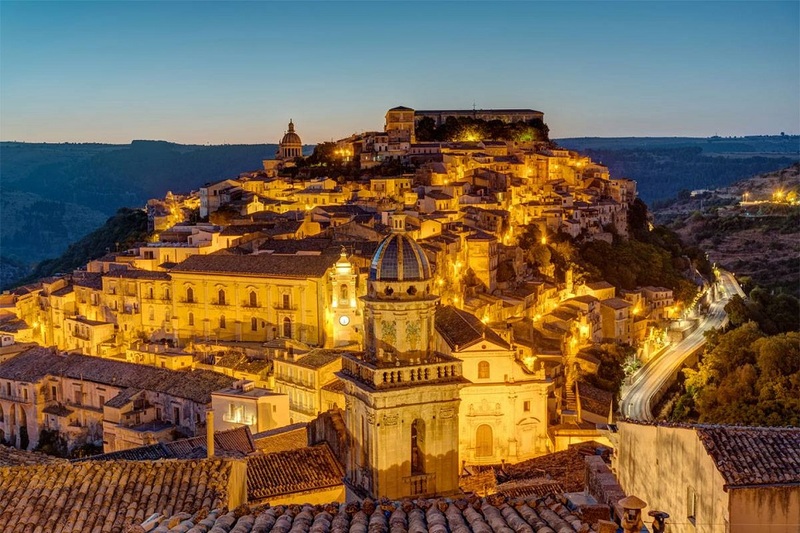 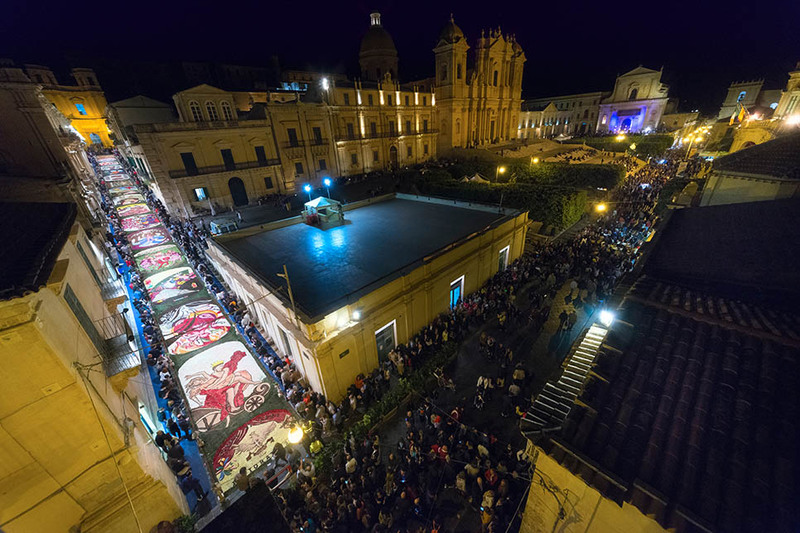 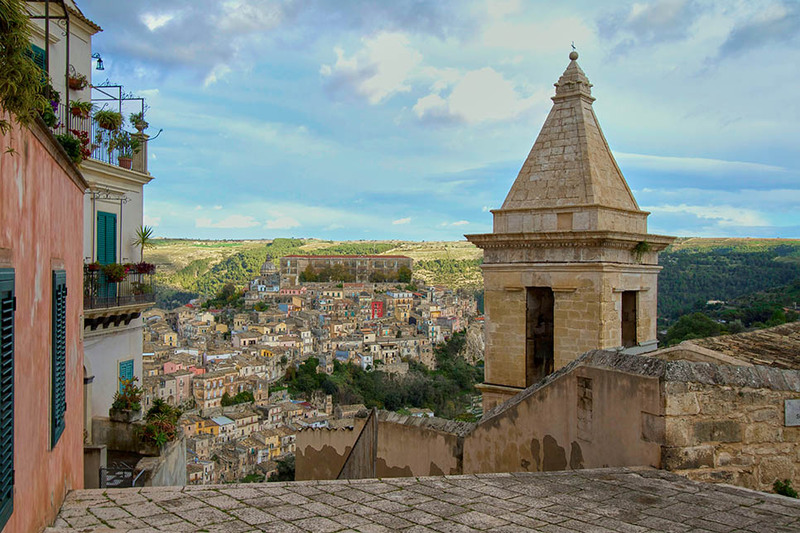 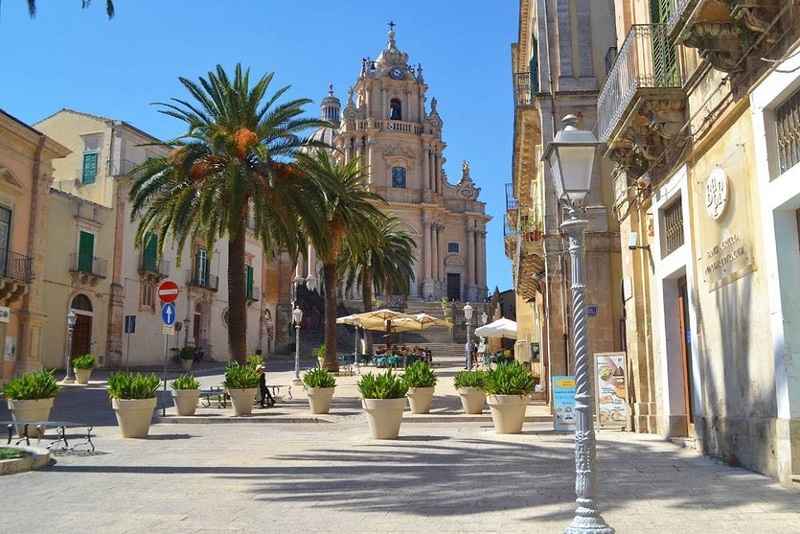 The nearest town is Scicli, less well-known than neighbouring Ragusa, but home to some wonderful palazzi and churches. 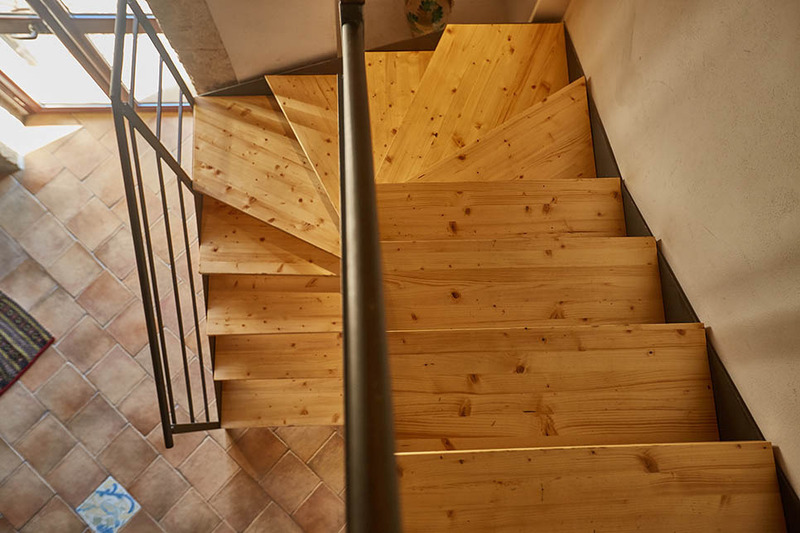 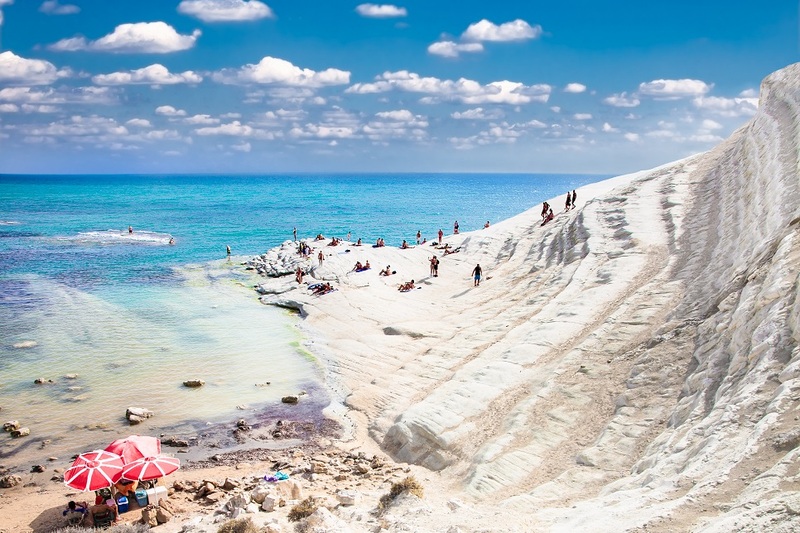 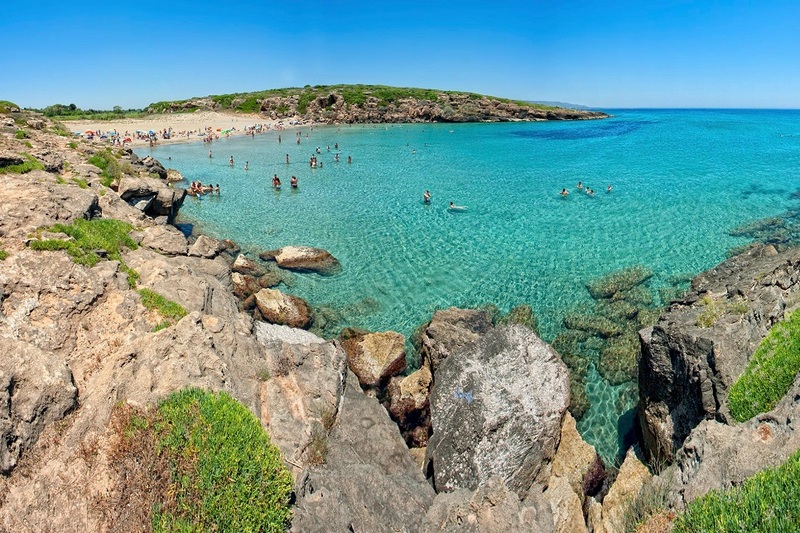 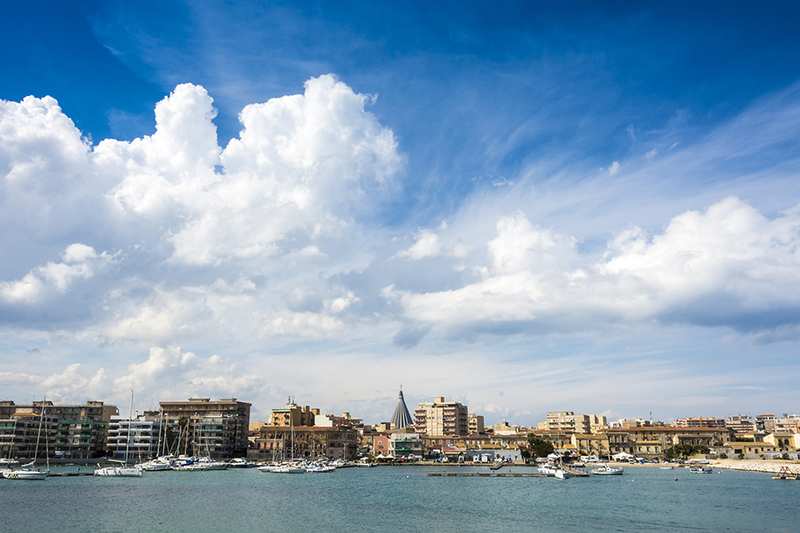 Getting there is easy, with the choice of Catania or Comiso airport. 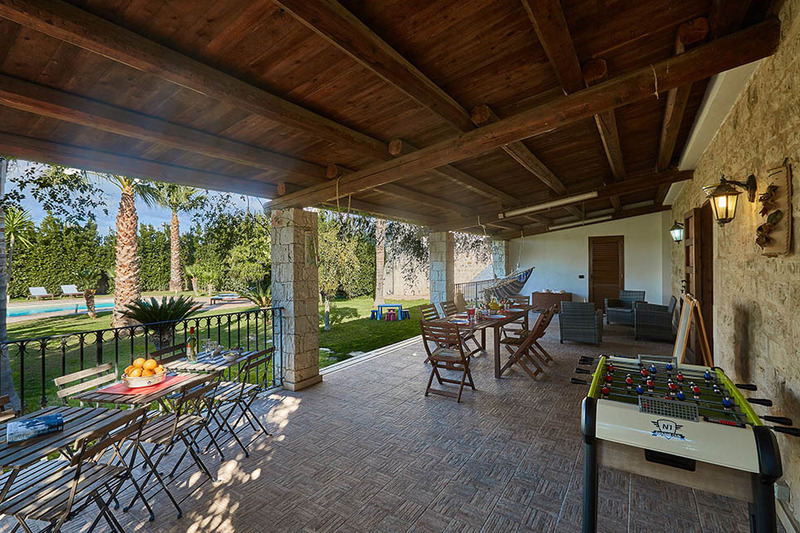 The two villas are completely independent of each other but mutually accessible. 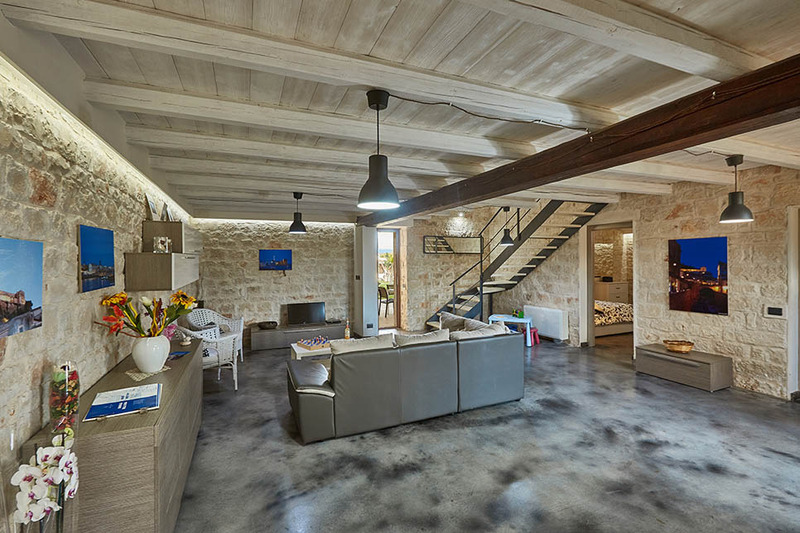 Both villas have a wonderful sense of space, inside and out. 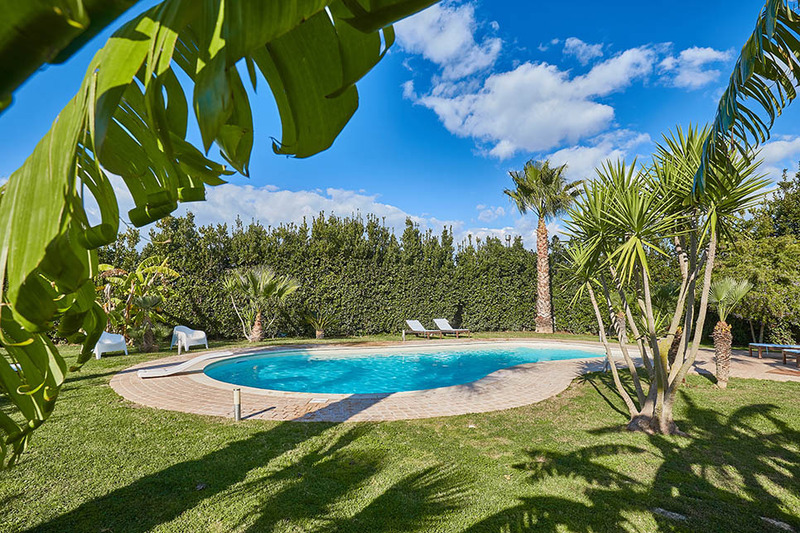 They each have their own separate garden with a large lawn, fabulous pool, sun-bathing terraces and a superb veranda for al fresco dining. 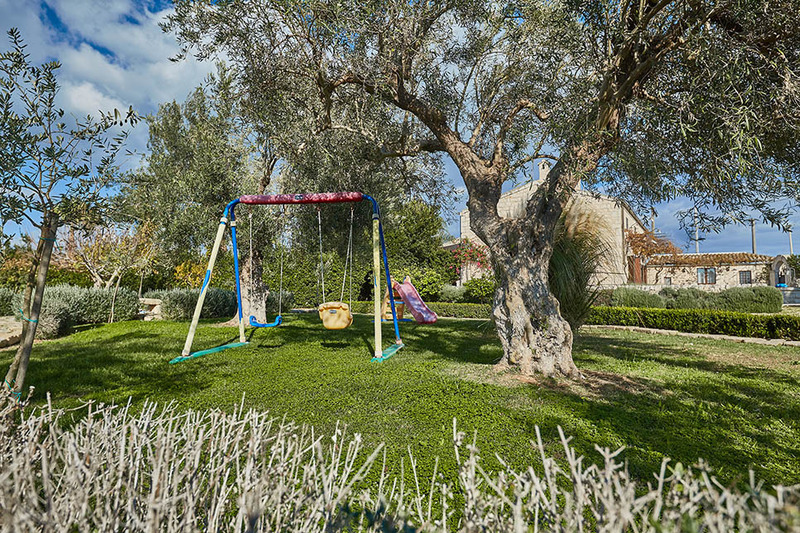 Well-equipped for families, younger children will love the swings and slides while the older ones can enjoy table football and a diving board. 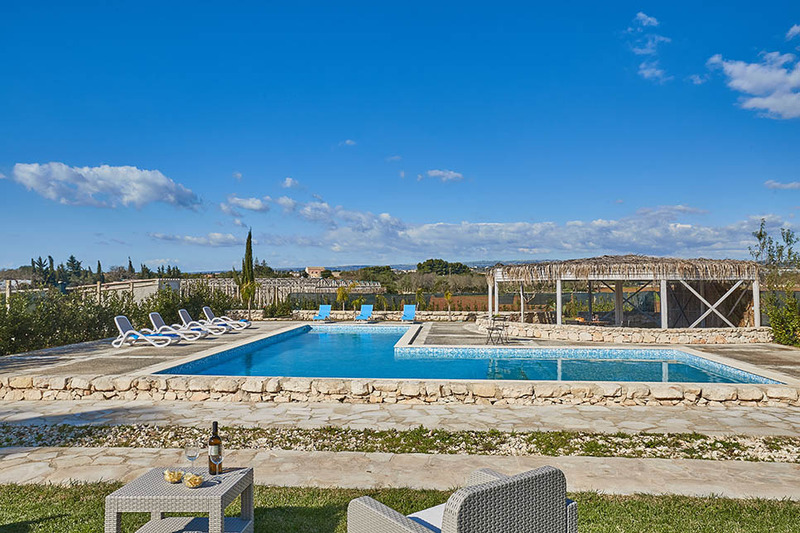 Both villas are extremely stylish, one slightly more contemporary, but both reflective of their location. 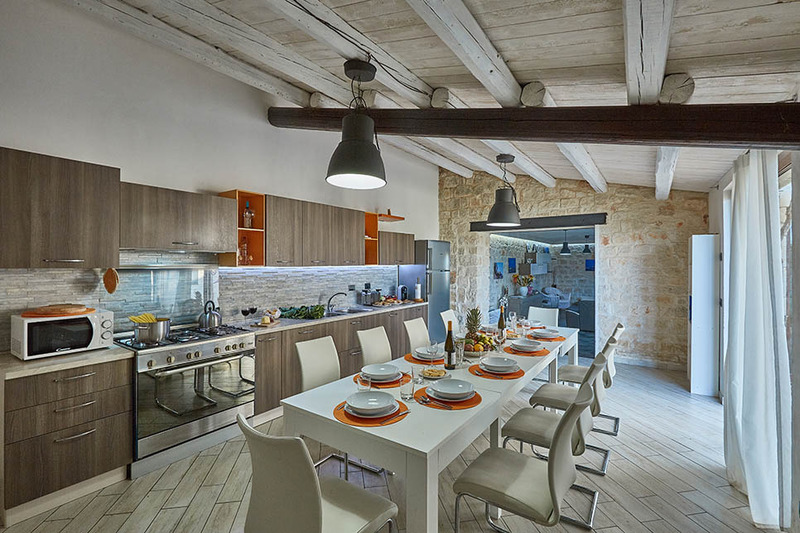 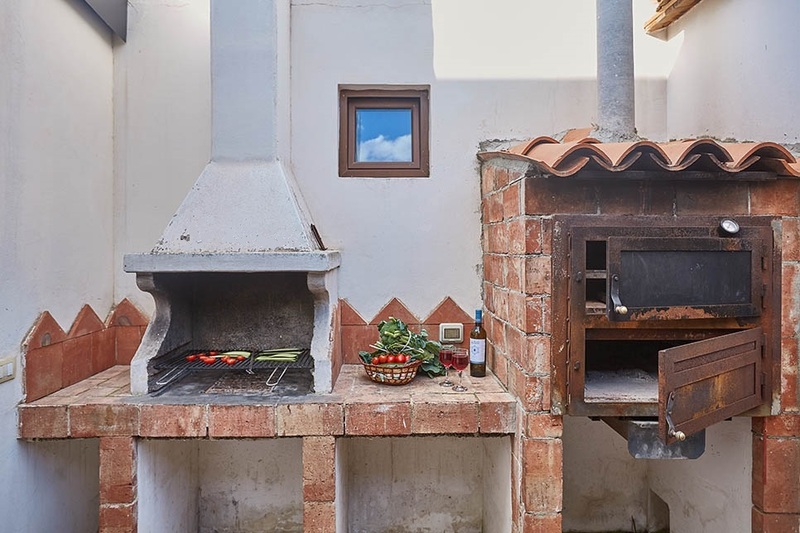 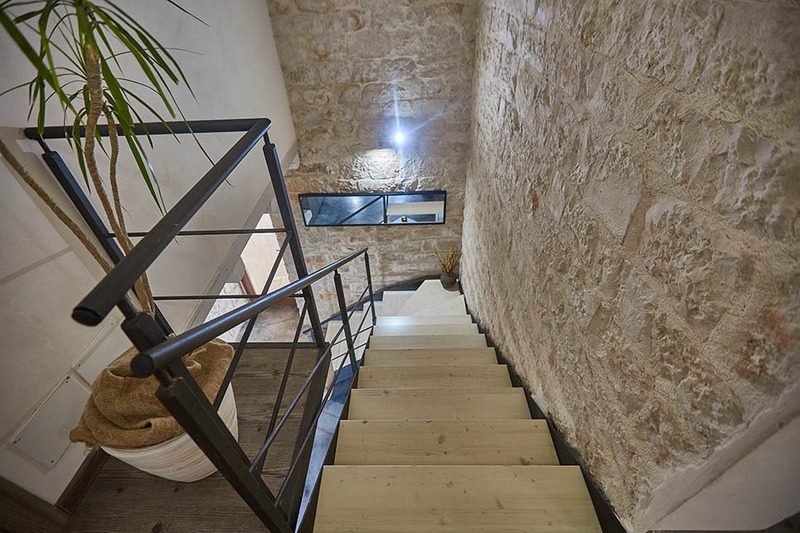 Each has its own living room and fully-equipped kitchen, with original features. 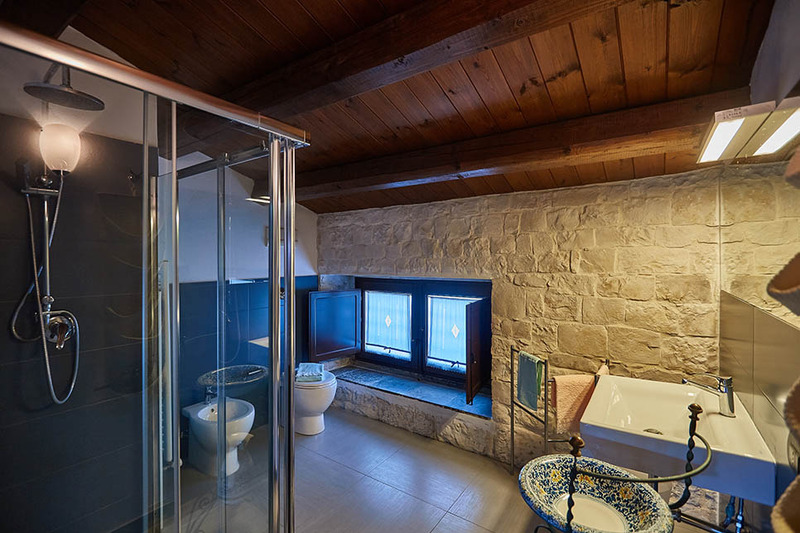 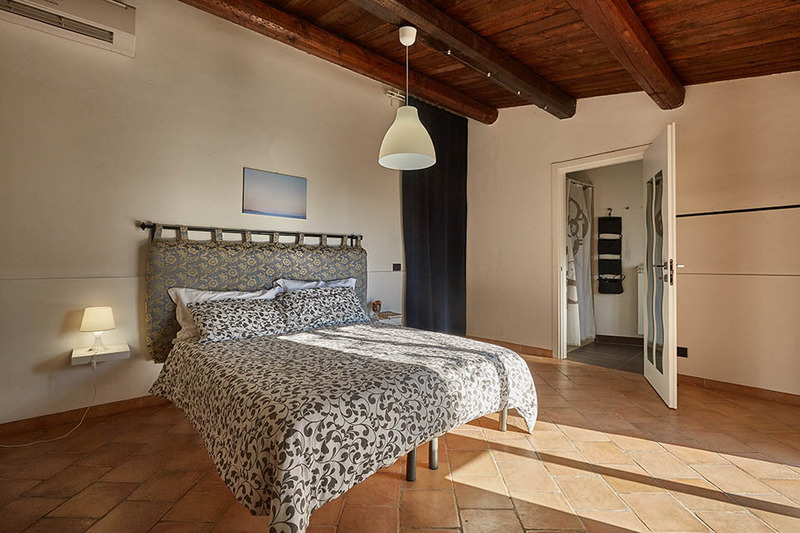 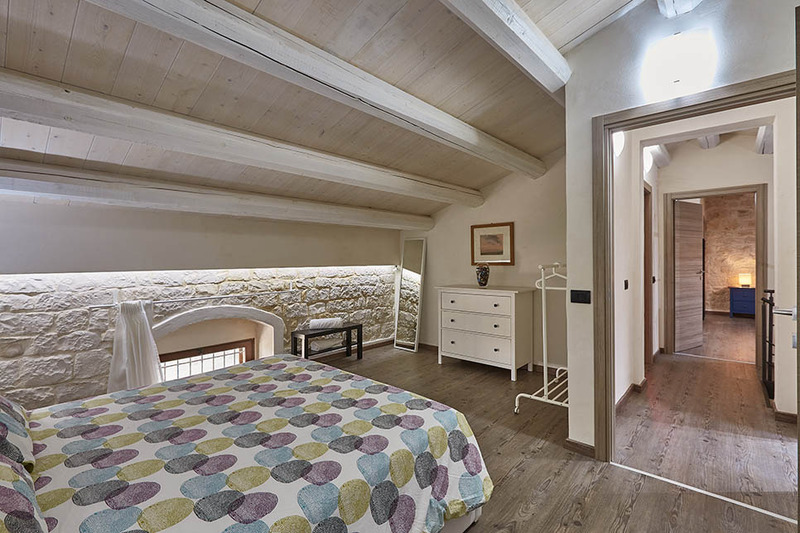 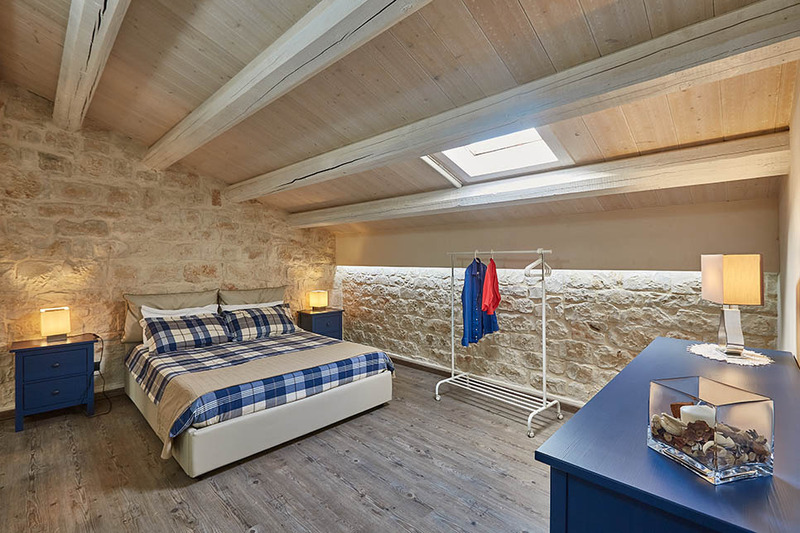 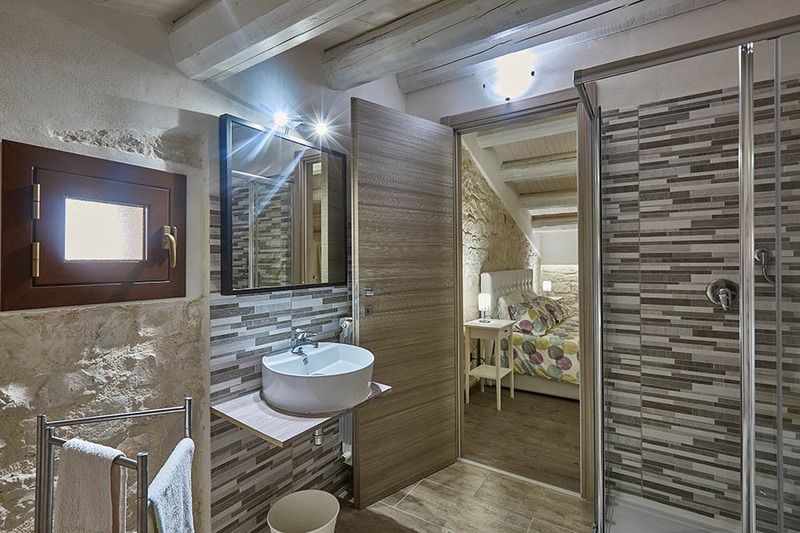 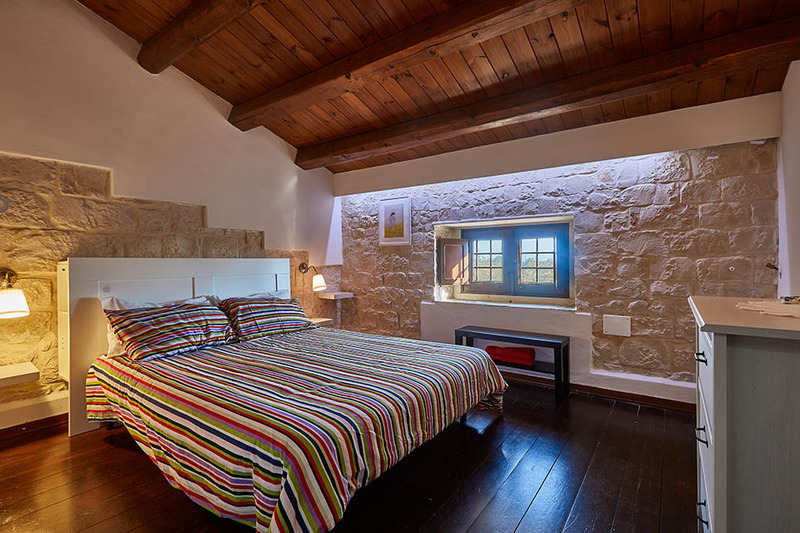 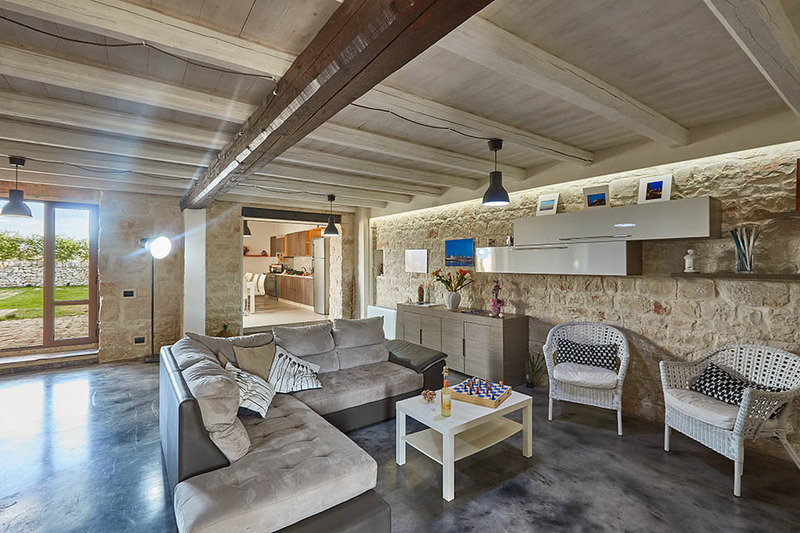 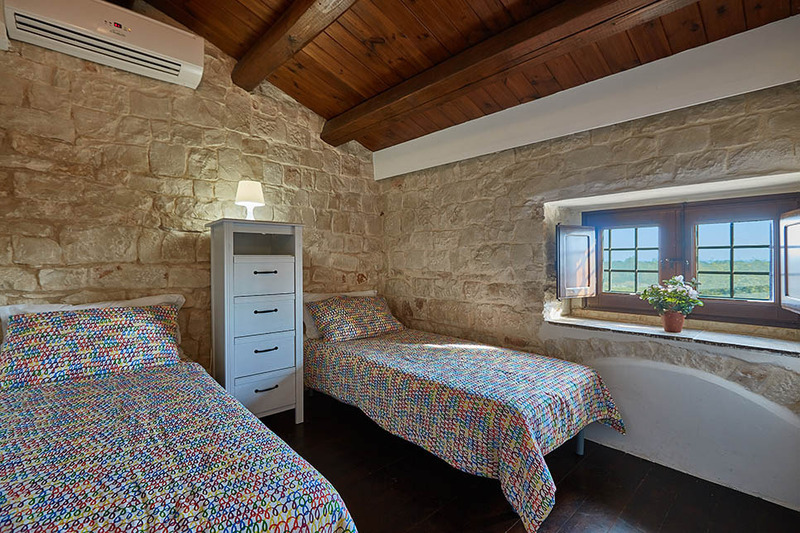 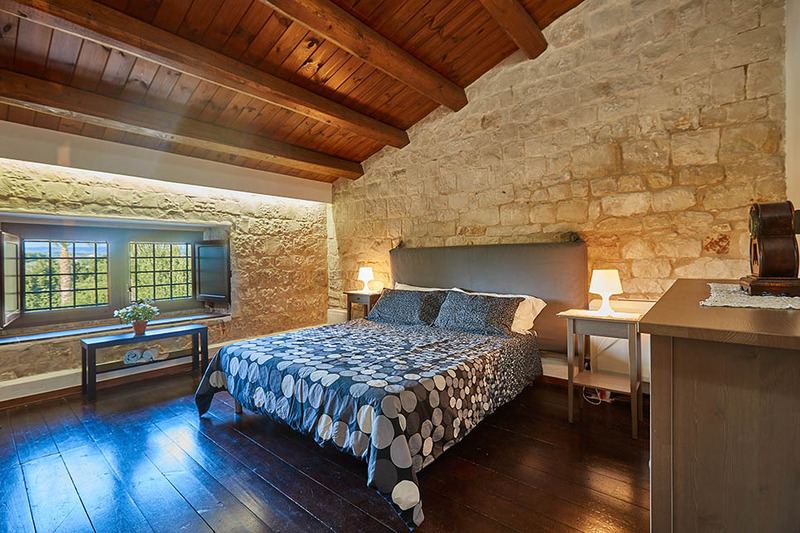 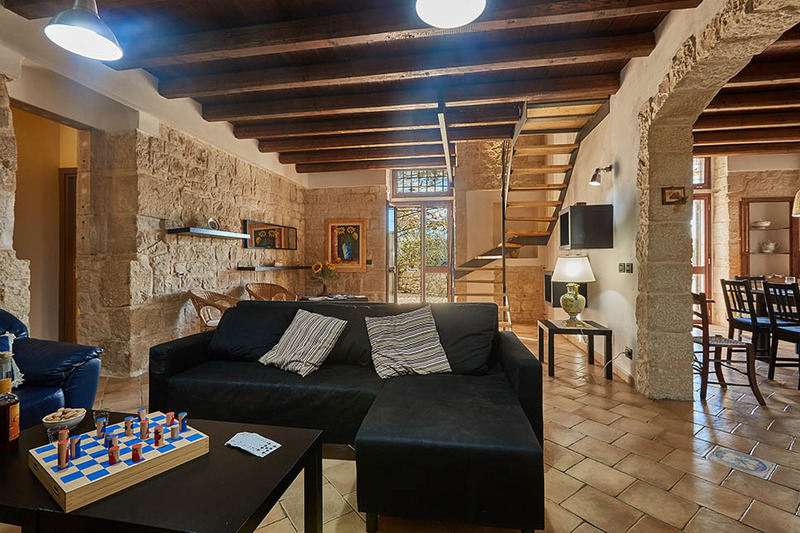 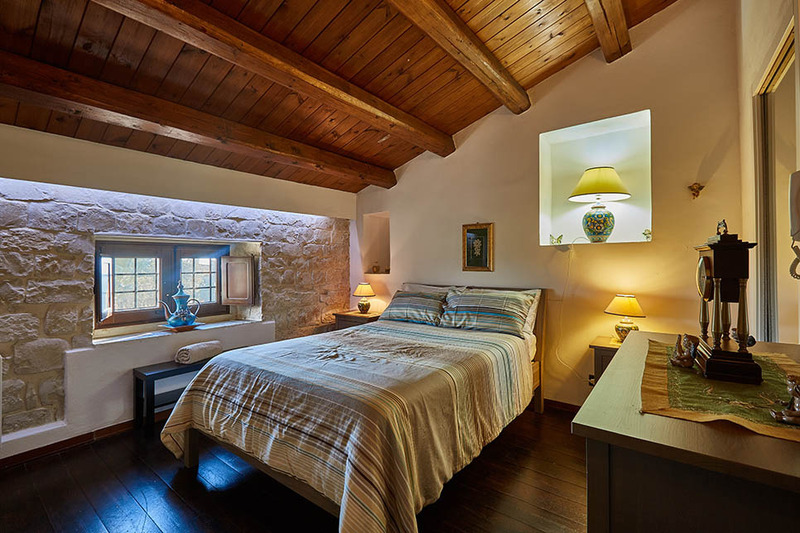 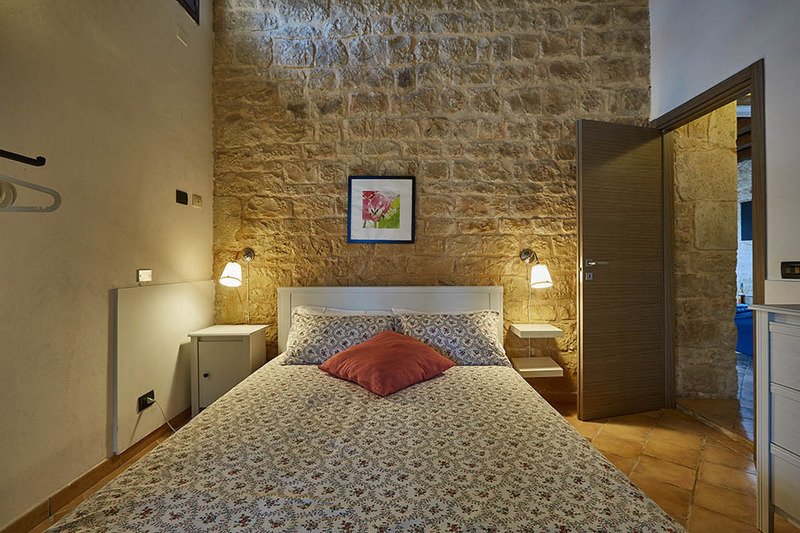 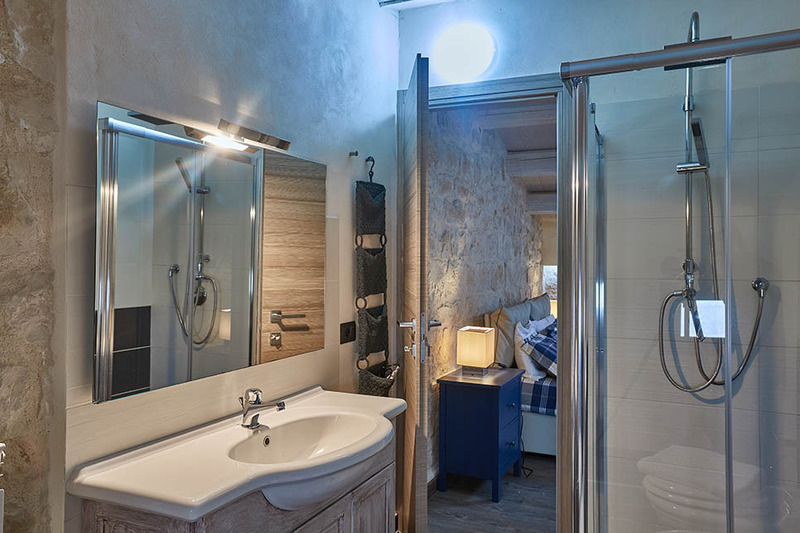 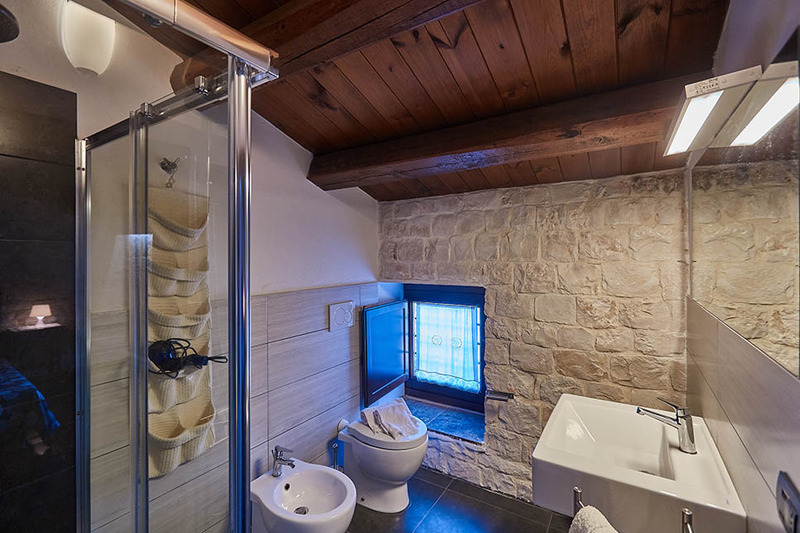 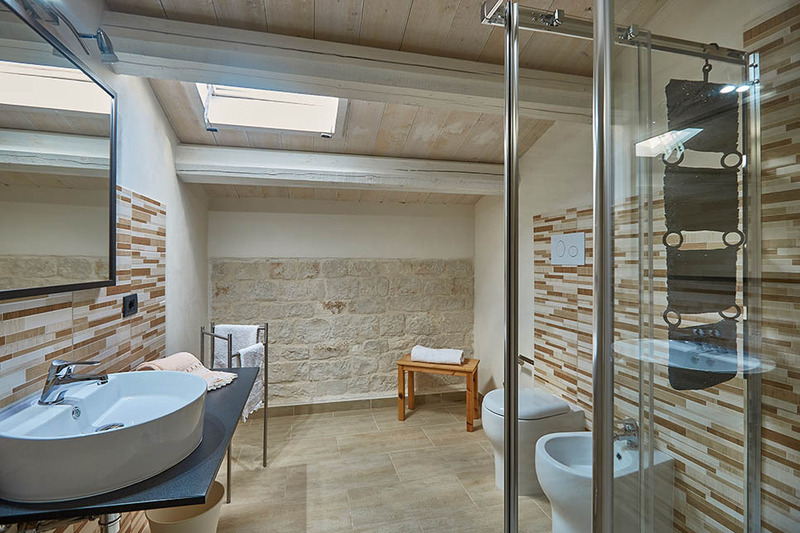 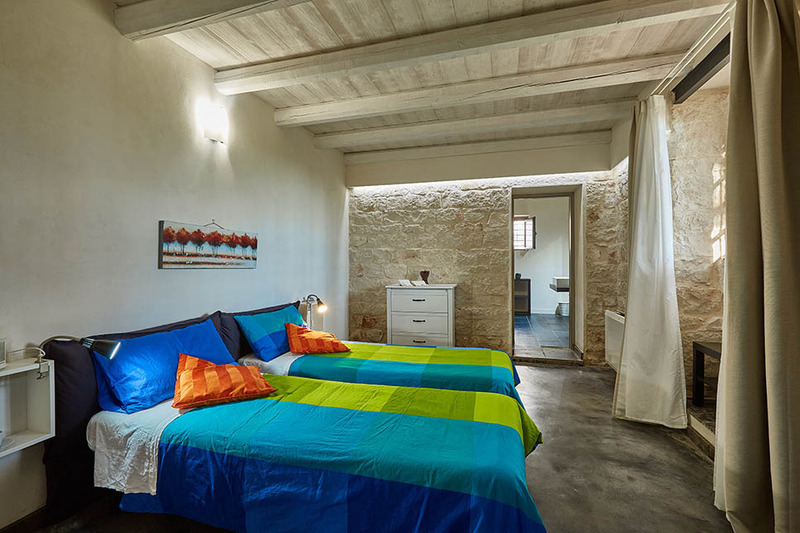 Many of the rooms are characterised by pale stone walls, tiled or stripped wooden floors and beamed ceilings. 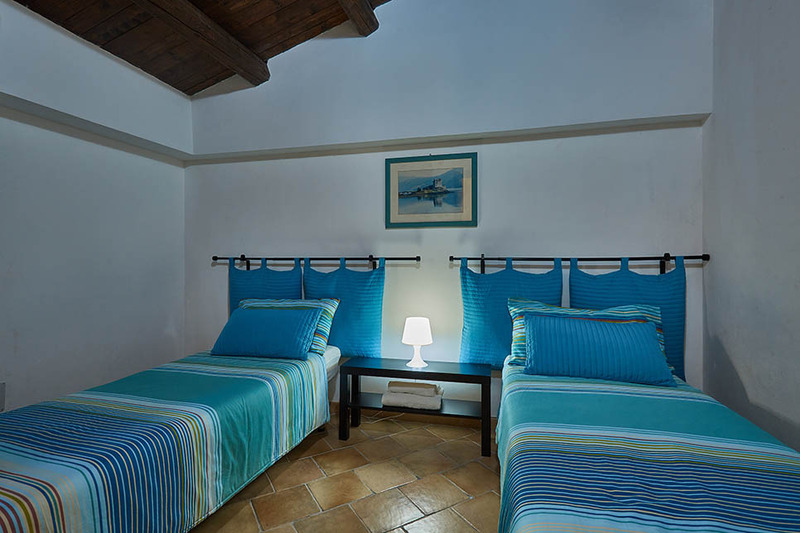 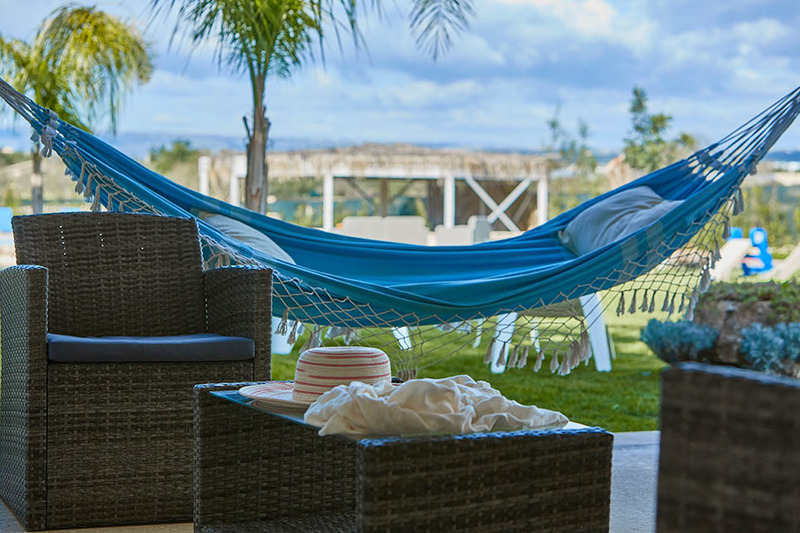 Together, the two villas provide accommodation in 13 bedrooms, 11 of which are en-suite. 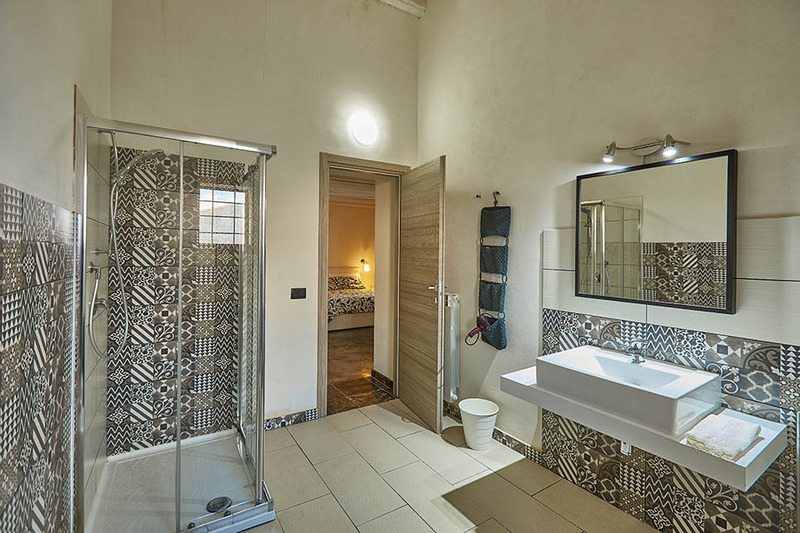 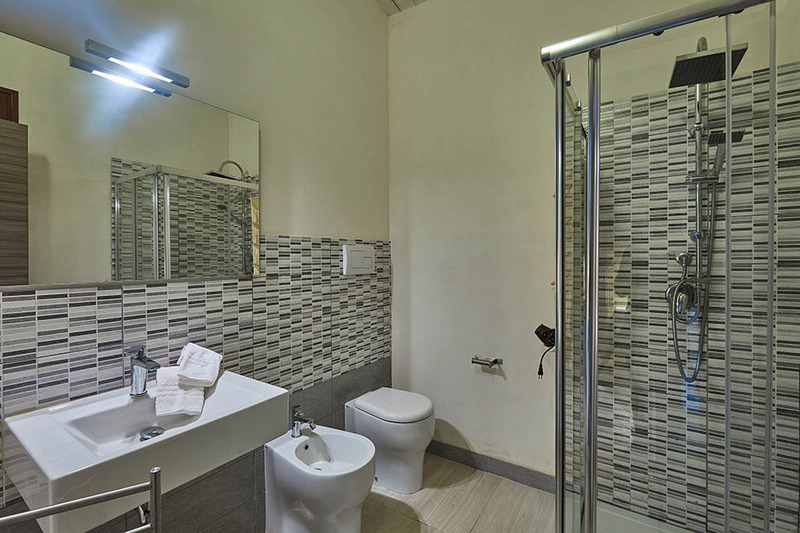 All the bathrooms are modern, with stunning tiling and fittings. 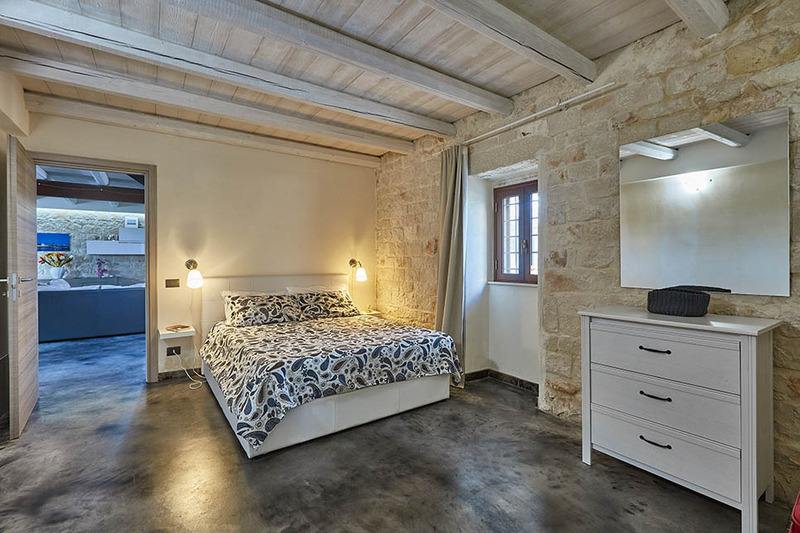 Refundable Security deposit euro 1000. 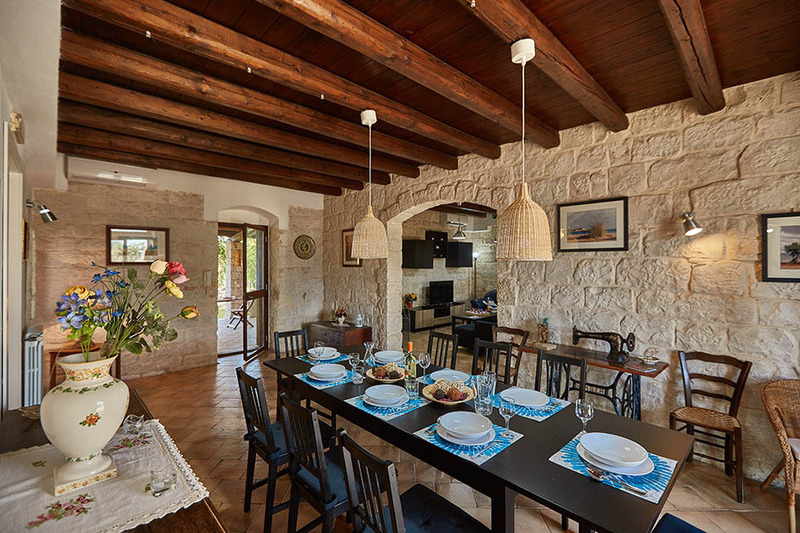 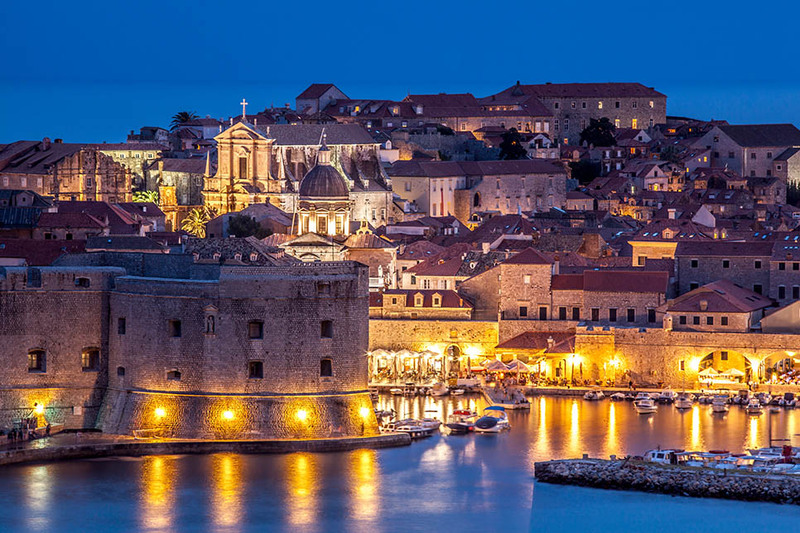 Euro 20 per person for group above 16 people (up to 26). 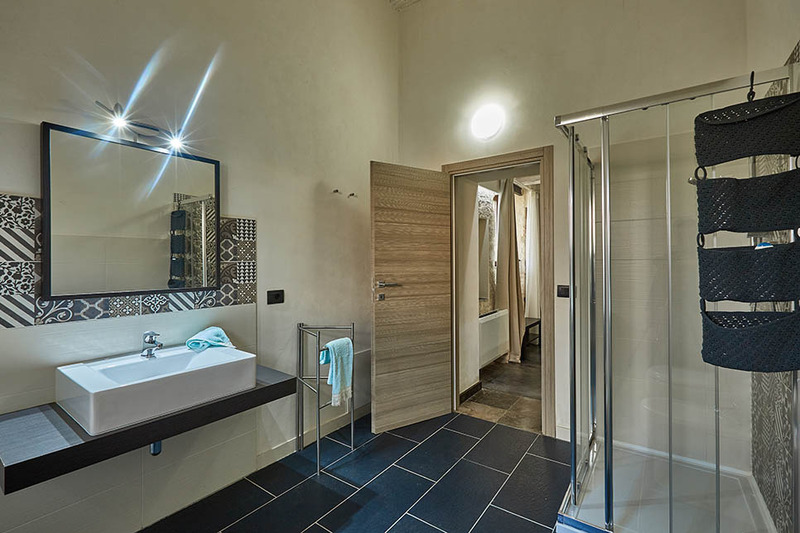 Electricity up to 400 kwh per week included. 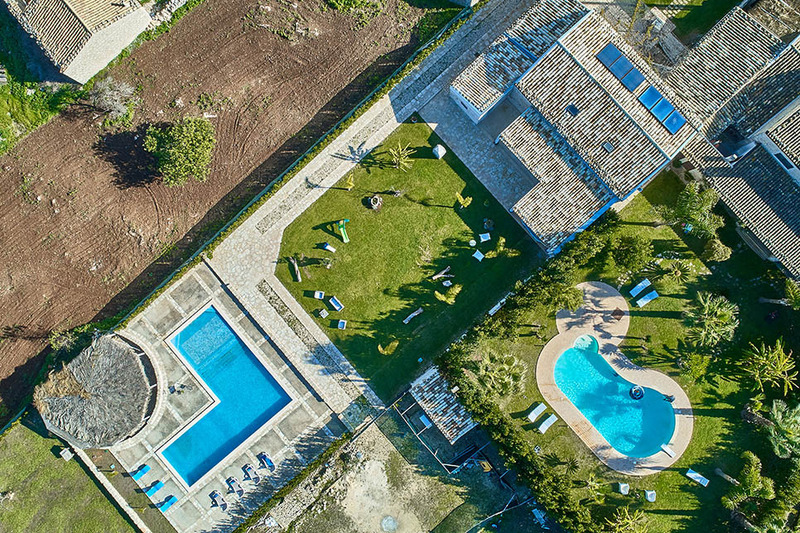 Euro 0.35 per extra kwh.